Reference – citation – source – bibliography: all these terms can strike fear into the heart of students. Correct referencing is essential in academic writing and research, not only to guard against plagiarism but to acknowledge your sources, demonstrate your knowledge about a topic, give your argument authority, and enable readers to find out more. Let’s clear up some confusion over what it is and how to do it, with these top tips and tools to make referencing assignments easy. Want to share these resources? Bookmark this page, save it to your VLE, and add the page url to your reading list! Referencing is a way of acknowledging other people’s work. It is also, maybe more importantly, a way of getting the grades you should be getting. Not referencing will lose you marks or even get you in trouble for claiming other people’s work as your own. 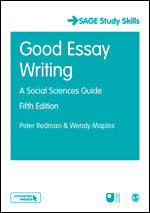 Good referencing shows you’ve done the reading around and know the key ideas you should be referring to. Referencing is a system used to make clear to the reader when you are bringing ideas, words, quotes, illustrations, concepts or anything from other sources into your own assignments. There are many referencing systems, also known as referencing styles. Some are almost identical, some vary more widely. Their aim is always the same: as stated above, to point out where you are using other sources. Whether you mention a radio interview, a computer game or a journal article, you’ll have to reference these sources in a certain way, according to a certain system. 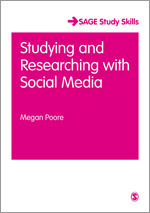 Tip #2: …and what referencing isn’t! A bibliography is all the references you have consulted when researching your assignment – whether or not they have been referred to in the text of your assignment. A references section should only contain those references actually cited in the text. Most assignments will require you to just list the references you have cited in the text. There are a wide range of referencing systems and it is important to know what referencing system to use. These can range from subject to subject and institution to institution. It can even range from tutor to tutor, so make sure you know which system you’re using for that particular assignment (the best way to do that is to ask your tutor). E.g. (In text) One recent critic went as far as calling the film’s dialogue ‘unnecessarily inflammatory’ (Davies, 2007: 36) – This has the author’s name, the date of the publication and the page number. Then there’s a full reference at the end of the essay, referred to as the bibliography: Davies, A. (2007), ‘Fury and free speech: drawing the line’, in Gordon, J. (ed.) Contemporary Cinema and Relative Realism. Oxford: Oxford University Press, pp. 30 45. – This has the author’s name and initial, the title of the article, the editor of the book, the title of the book, where it was published, the publisher and the pages of the article. E.g. (in text) One recent critic went as far as calling the film’s dialogue ‘unnecessarily inflammatory’ (2) - you’re only putting in a number which refers to the full reference at the end of the essay. Then the full reference at the end of the essay: (2) Davies, A (2007), ‘Fury and free speech: drawing the line’, in Gordon J. (ed.) Contemporary Cinema and Relative Realism. 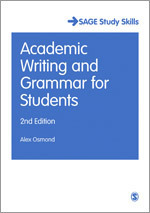 Oxford: Oxford University Press, pp. 30 -45 – This full reference is the same as Harvard. This, as the title suggests, means any reference is presented as a footnote: One recent critic went as far as calling the film’s dialogue ‘unnecessarily inflammatory’1 – If you’re writing an essay in MS Word, there is a references tab that allows you to insert these. This small number will refer to a reference at the bottom of the page that will look something like this: Davies, A (2007), 1‘Fury and free speech: drawing the line’, in Gordon J. (ed.) Contemporary Cinema and Relative Realism. Oxford: Oxford University Press, pp. 30 -45, p. 33 – this is similar in form to the others we’ve seen but you’re also usually required to specify the specific page. MLA and APA referencing are both very similar in style to Harvard referencing. If you’re using either of these (most likely on a humanities or psychology course) ask your tutor for some clear examples. OSCOLA is used almost exclusively in Law and how a reference is presented depends on the kind of material that you’re referencing. Tutors should make these differences clear to you. If you’re unsure, remember to ask! Remember that these are just examples and even if you’re using one of these referencing styles, your tutor might want a reference done a certain way. Also, be consistent, know which style you’re using and use it throughout the essay or project you’re working on. Willie, S.S. (2003) Acting Black: College, Identity and the Performance of Race [Online], New York, Routledge. 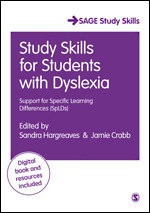 Available at http://library.open.ac.uk/linking/index.php?id=311027 (accessed 10 April 2010). → Generally organise your reading materials. If you sync your collection across your devices you can build repositories of journal articles, websites, and useful references that you can access anywhere. Finally, you can share your collection if you wish and you can search others’ collections for materials related to your own interests and projects. 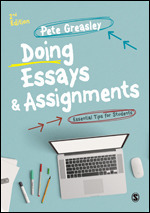 All our SAGE Study Skills guides have loads more information on referencing and all other aspects of the essay writing process, have a look over them to see which books are best for you.